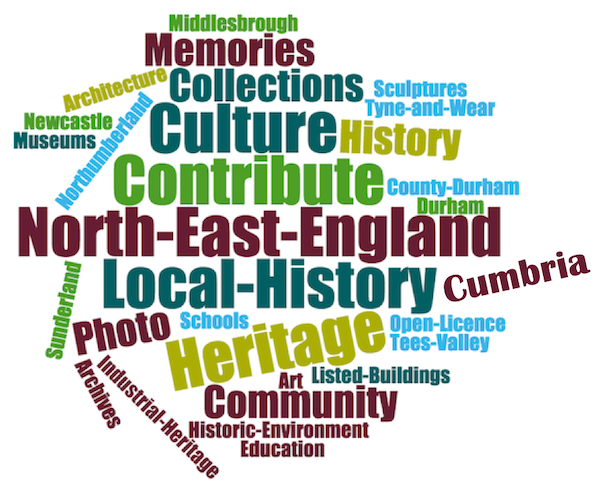 Research on North East Heritage Co-Curate: stories and images from North East England. Co-Curate: stories and images from North East England. Posted 25th February 2018 & filed under Ongoing. With over 50,000 photos, videos & resources related to the North East of England. Co-Curate is a project which brings together online collections, museums, universities, schools and community groups to make and re-make stories and images from North East England. Co-Curate is a trans-disciplinary project that will open up ‘official’ museum and ‘un-official’ co-created community-based collections and archives through innovative collaborative approaches using social media and open archives/data. Co-Curate brings together online collections, museums, universities, schools and community groups to make and re-make stories and images from North East England. Co-Curate is a trans-disciplinary project that will open up ‘official’ museum and ‘un-officia’l co-created community-based collections and archives through innovative collaborative approaches using social media and open archives/data. Co-Curate delivers a transformative educational environment creating a rich mix of openly licenced and other data from arts and humanities, science, and medical health contexts, placing ‘authoritative museums’ data from professional curators alongside data from more informal contexts compiled and published in collaboration with communities.